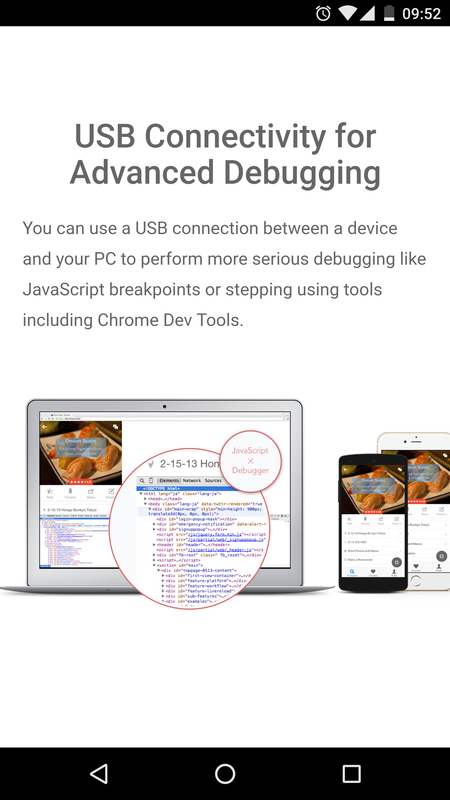 According to the Monaca site, it is possible to put breakpoints in source code when debugging on a device via USB. Monaca does not generate source maps so there is no way to step through the original source. Please don’t answer with “check the Chrome Dev Tools documentation”. I know how to inspect the device in Dev Tools. The problem is that all I can see is the transpiled app bundle, not the original source. 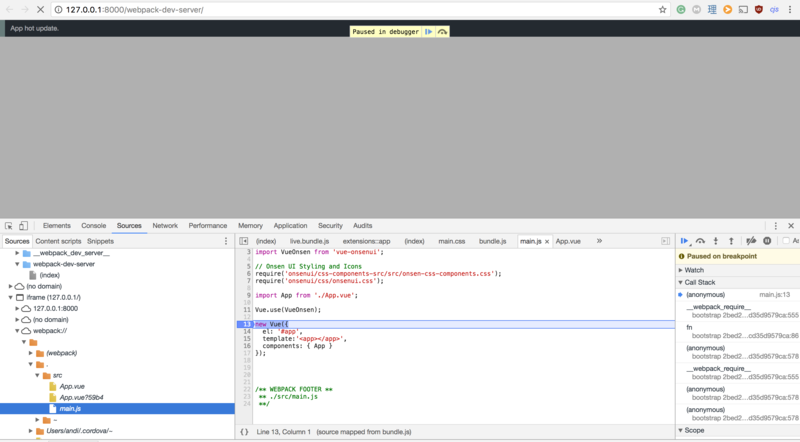 Re: LocalKit Debugger Chrome Dev Tools - How to add breakpoints to source? @ephraimt I found an issue in the webpack dev configuration. We are currently using eval-source-map to generate the source map, but it seems that it’s bugged (breakpoints can be added but the execution does not stop). Check the following issue in the official Webpack repository.